Well, here is this one. My mojo has been a little on the lacking side lately so I was really struggling for some inspiration on what to make when I finally decided to pull out some color first and start from there. I decided to start with Pink Pirouette. Next, I choose Crumb Cake and finally, Pear Pizzazz and Wild Wasabi. I next pulled a punch which turned out to be my Petite Petals punch so I grabbed the Petite Petals stamp. I also choose the Hardwood background stamp. I started with stamping the background stamp onto a piece of Crumb Cake that measures 4"x 5-1/4" using Crumb Cake ink. Next, I grabbed a piece of Whisper White and punched it with the Triple Banner punch. Then I stamped 2 different designs of the Petite Petals stamps using Pink Pirouette ink. I then punched out the 3 flowers. Then I wanted some leaves with my flowers so I got the Garden In Bloom stamp set and used the smallest leaves in a 2 step process using Pear Pizzazz and Wild Wasabi ink on the piece of Whisper White. 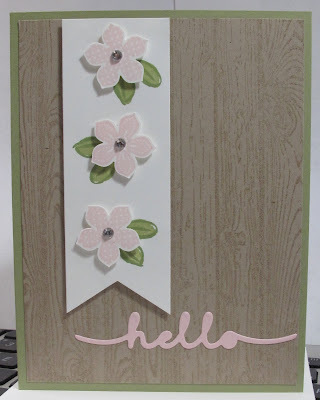 I lined up the flowers onto the leaves and placed them on using Stampin' Dimensionals. I then placed rhinestones onto each one in the middle. Next, I placed the whole piece onto the Crumb Cake layer using more Stampin' Dimensionals. For my greeting I decided to use the Greetings Thinlits and a piece of Pink Pirouette cardstock to cut out the Hello saying. I placed it on the lower part of the card. Finally, I placed the Crumb Cake layer onto a piece of Pear Pizzazz cut to A2 size 4-1/4"x 5-1/2". 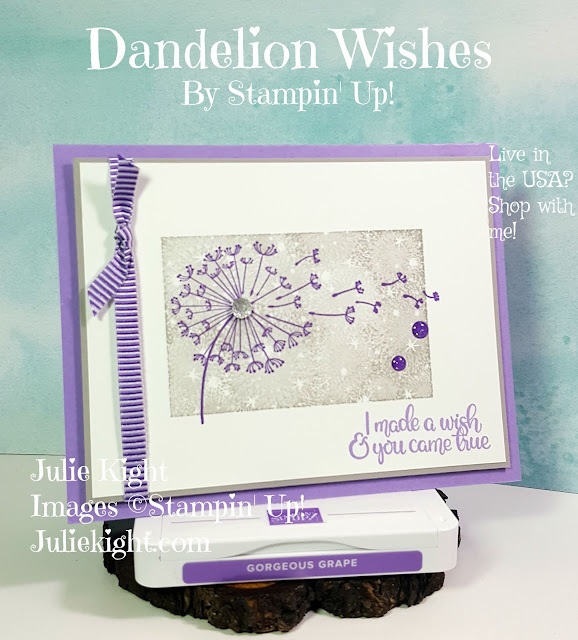 Thank you so much for coming to my blog to see my latest card creation. 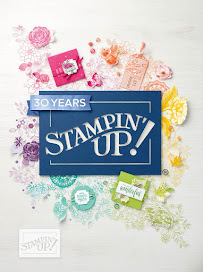 If you need a Stampin' Up! demonstrator please feel free to contact me at scrapnmom@live.com. 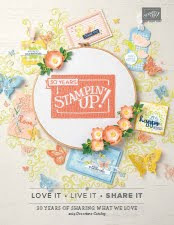 I will send you a catalog for free you just pay for shipping. I hope you have a great day!